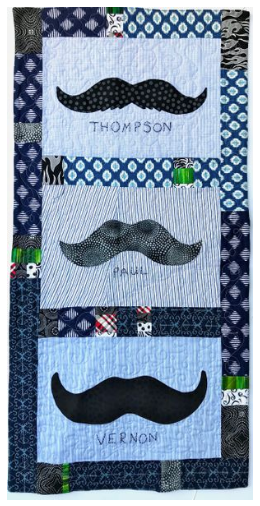 Three fabulous mustaches are appliquéd on to upcycled men’s shirts and the names of each shape are hand-stitched underneath. Plackets, seams and button holes of the shirts are visible and add interest. Interesting blue, black and green fabrics create a fun border for these whimsical shapes. 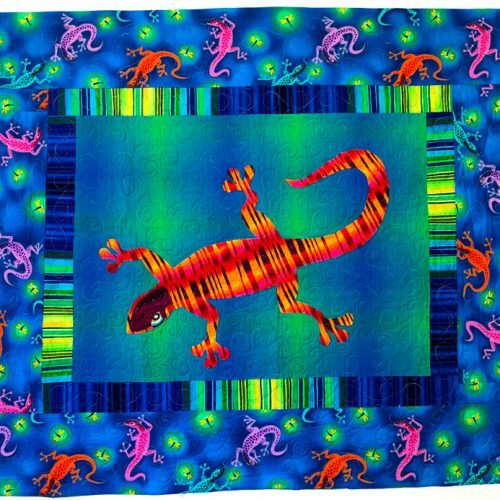 Alethea’s hand-guided custom long-arm quilting in two colors finishes the look. The back side is a cream and light blue stripe. 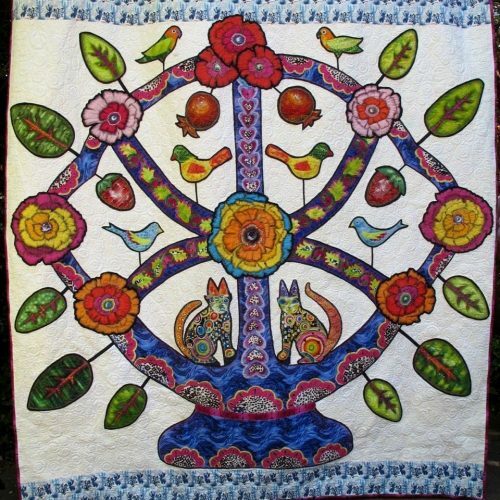 The wall hanging is a stitch and turn finishing style with no outer binding. A 2″ hanging strip is attached to the back for easy hanging.